Last Day of School - 1/2 day! Do you have a child who will be five on or before September 1st and are interested in enrolling them in Kindergarten or Young Fives? If so, open enrollment is happening now! Packets are available in the McFall office or on our website. The Young Fives program is on first come first served basis as space is limited. Any questions, call the McFall office at 269-795-3637. 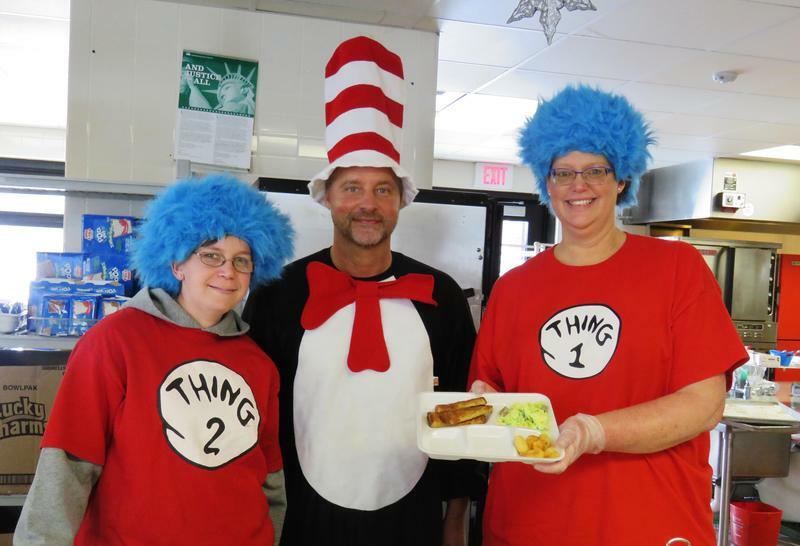 A lunch of green eggs and ham kicked off the annual celebration of March as Reading Month at McFall Elementary. Throughout the month students are encouraged to read, read, read. They'll turn in slips for each book they've read and at the end of the month, if goals are met, will be treated to a most special day when they'll get to wear pajamas to school, have an ice cream party and enjoy Global Play Day - a day of fun and games!